SWITZERLAND, Zurich — On April 7-10, 2014, the nations of Iran and Oman will hold a joint naval war game in the Persian Gulf, namely the Strait of Hormuz. It is during this terror exercise that a false-flag terror attack (possibly using the hijacked Flight MH370) may be executed against the U.S. Navy and her two Nimitz-class aircraft carriers (i.e., the USS George H.W. Bush and the USS Harry S. Truman) which are currently stationed in the Persian Gulf as part of the United States Fifth Fleet. The notion that Iran would attack a U.S. aircraft carrier was first identified on February 8, 2014, when the Times of Israel reported that Iranian TV had aired the simulated bombing of the USS Abraham Lincoln (see: 9:45 in video). Low and behold, 40 days later on March 20, 2014, it was reported that Iran was building an aircraft carrier similar to a U.S. aircraft carrier, ultimately foreshadowing that Iran may be drilling for a U.S. carrier attack. Less than 72-hours later, USA Today published a report entitled “Iranians Up to ‘No Good’ with U.S. Aircraft Carrier Mock-Up”, further confirming Iranian foul play is afoot. That same day, Iranian media responded by stating that the fake U.S. ship was only a movie set. Regardless of the fake ship’s alleged purpose, it was designed to bring unprecedented attention to both Iran and U.S. aircraft carriers in the Persian Gulf just prior to a “surprise” Iranian attack. In what appears to be legislative funding for a war against Iran, it was reported on March 19, 2014, that Israel has budgeted $3 billion dollars for a strike on Iran. However, since Israel will neither sacrifice her soldiers nor treasure for a war they can sucker America into doing for free, the report was likely made in respect to the U.S. Congress who likely approved the Iranian invasion in secret. A day later on March 20, 2014, Obama held out a timely olive branch to Iran when he stated, “We have the opportunity to start down a new path”. Obama’s premeditated peace rhetoric was likely issued so that in the wake of an Iranian “surprise” attack, Obama will be seen as the peacemaker who was ultimately stabbed in the back by Iran. Unbeknownst to most Americans, the nation of Iran was to be scapegoated for the February 1, 2014 false-flag nuclear attack on New York City during Super Bowl XLVIII. 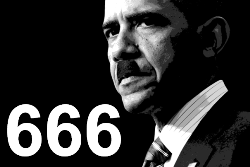 Therefore, Obama’s peaceful words to Iran are hollow as it’s just a matter of time before another false-flag attack is concocted to trigger a U.S. vs. Iran war. In the aftermath of an Iranian attack, Obama’s verbal threats to Iran, to which an Iranian general responded was ‘the joke of the year’, and the recently attempted sabotage of an Iranian nuclear facility (likely executed by the U.S. and/or Israel) on March 15, 2014, will likely be cited as motive. Back on March 16, 2014, it was revealed that Israel is preparing for an attack from Flight MH370. How or why Israel knows this insider information is unknown, but a week later on March 23, 2014, Israel closed its embassies around the world after its diplomats went on strike. Therefore, it can be deduced that an Iranian attack against the U.S. will likely be complimented by strikes against one or more of Israel’s evacuated embassies. This will make Israel a “victim” of Iranian aggression, ultimately forcing the U.S. to invade Iran on behalf of Israel. The notion that Iran would attack Israel was recently highlighted on March 11, 2014, when an Iranian general reportedly stated, “Our hands are on the trigger’ to destroy Israel”. The Strait of Hormuz is the only sea passage from the Persian Gulf to the open ocean, making it one of the world’s most strategically important choke points . Since about 35% of the world’s oil passes through the strait, any attack would cripple the world’s oil supply, ultimately causing an international crisis as fuel prices would naturally skyrocket. In time, a naval crisis in the strait could lead to a regional war involving many nations. Interestingly, on March 12, 2014, Iranian President Hassan Rouhani traveled to Oman (which sits directly across from the Strait of Hormuz) to discuss “security and stability” in the region as well as building a “causeway link” over the Strait of Hormuz. Although impossible to know, the timely meeting was likely called in respect to the impending Iranian attack which may transpire in Oman’s waters. In the weeks leading up to the Iranian war games of April 7-10, 2014, there have been a number of ship-related news in respect to attacks in the Persian Gulf. For example, on February 20, 2014, it was reported that a Guantánamo terror detainee plead guilty in the 2002 tanker attack off Yemen. Five days late on February 25, 2014, it was reported that a U.S. Navy cruiser came to the aid of stranded Iranian ship. That same day, a Maritime-Executive report entitled “Jihad At Sea – Al Qaeda’s Maritime Front in Yemen”, highlighted the dangers of terrorism in the Persian Gulf. Three days later on February 28, 2014, a pirate attack in Strait of Hormuz was allegedly thwarted. Most recently, on April 4, 2014, Al Qaeda militants reportedly killed 5 soldiers at checkpoint in Yemen, confirming that terrorism is alive and well in Persian Gulf nations. As previously reported by Truther.org, it’s just a matter of time before Flight MH370 is used in an act of terror the United States. Since “it is conclusive” that Flight 370 was hijacked, the only question left is by whom and for what purpose. 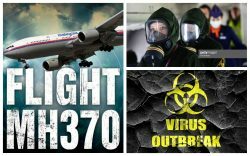 Although American, British and Chinese Secret Service agencies along with MI6 and the CIA are allegedly investigating possible criminal involvement in the disappearance of Flight 370, media outlets around the world have been curiously silent on evidence linking Iran to the alleged hijacking of Flight 370. Iran was first implicated in the disappearance of Flight 370 on March 10, 2014, when it was revealed that 2 stolen passports were used to board the missing plane in Malaysia. The passports were reportedly used with 2 tickets which were purchased by an Iranian man who: a) bought the tickets last-minute, b) paid cash, and c) only purchased one-way tickets—all red-flags for potential terrorism. That same day, it was also revealed that the fake-passport holders on Flight 370 were in fact Iranian citizens, further implicating Iran in foul play involving Flight 370. A day later on March 11, 2014, an Iranian lawmaker blamed the U.S. for the plane’s disappearance, an ominous sign that Iran is in fact the Flight 370 hijacking scapegoat who is attempting to deny involvement prior to a Flight 370 terror attack. Despite all the evidence which suggests that Iranians hijacked Flight 370, intelligence officials declared on March 12, 2014, that there is no Iranian terror link in respect to the missing plane. Iranian nationals with one-way tickets who used stolen passports to board a plane which has since been hijacked and disappeared would normally be construed as terrorism, but not in this case. Evidently, the international intelligence agencies behind this terror plot want the Iranian nuclear attack using Flight 370 to be a shocking surprise. Therefore, it appears that a global media gag order in effect in respect to any evidence linking Iran to the disappearance of Flight 370. In the aftermath of 9/11-style nuclear terror attack on America, the aforementioned evidence will be cited by the U.S. Congress as hard evidence linking Iran to the March 8, 2014 hijacking of Flight 370. According to reports, two Iranian nationals used stolen passports from Austria and Italy to board Flight 370 in Malaysia on March 8, 2014. Despite the fact that their names did not appear on Flight 370’s passenger manifest, the men’s age, full name, nationality and photo were released to the media within 2 days of the alleged hijacking of Flight 370. In other words, authorities want the public to believe that they somehow figured out the correct identity of two mystery passengers in less than 48-hours despite not knowing anything about them. A more contrived investigation could not be found. Regardless, the first alleged hijacker was 29-year old Delavar Seyed Mohammad Reza, an Iranian national who was traveling with the stolen Italian passport of 37-year-old Maraldi Luigi. Although the flight was headed to China, Reza reportedly planned to seek asylum in Germany. The second alleged hijacker was 19-year old Pouria Nour Mohammad Mehrdad, an Iranian national who was traveling on a stolen Austrian passport belonging to a 30-year-old Christian Kozel. Mehrdad was reportedly trying to migrate to Germany where his mother lives. Although photos of Reza and Mehrdad holding passports in the airport have been released, there is no video showing either of the men boarding Flight 370 in Kuala Lumpur International Airport. In the event that these Iranian nationals passed through security, there would be a video of them just as there is of the alleged hijackers on 9/11. In the event that Iran is implicated in the hijacking of Flight 370 and/or a “surprise” attack on U.S. aircraft carriers in the Persian Gulf, it is imperative to remember that the leadership of Iran is not Iranian but rather Jewish. According to a Telegraph report dated October 3, 2009, former Iranian President Mahmoud Ahmadinejad has a Jewish past. Roughly 4 years later on September 19, 2013, the current President of Iran Hassan Rouhani took a Jewish member of parliament to the United Nations when Iran was brokering the historic nuclear deal with the West. Most recently, on February 7, 2014, it was revealed that Iranian President Hassan Rouhani donated $400,000 to a Jewish hospital in Tehran, a gesture only done by someone of Jewish ethnicity. These reports further confirm that international intelligence agencies play country off of country to the detriment of all mankind.